Hashtagging : Yay or Nay? Hashtags are a mysterious symbol used throughout social media platforms - yet many are unsure of their purpose. What do they do? How can I use them to obtain the most effective response? Can I make them up and will it work? Do they work for business? Even though many people have seen or used hashtags in their social media platforms, many people don't fully understand how to use hashtags. They can be confusing for marketers, media professionals and the everyday social media user. 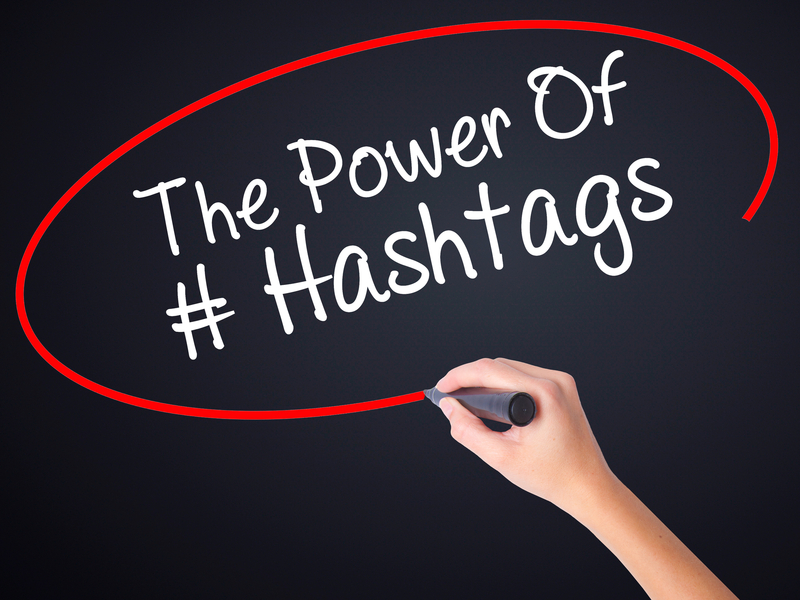 Knowing how to use hashtags is fundamental to your success on social media. A hashtag allows you to connect with and engage other social media users based on a common theme or interest. To create a hashtag, you simply precede a word or phrase with the hashtag symbol (#). You can use it within a message or sentence to identify a keyword or topic of interest and facilitate a search for it. Hashtags were first introduced on Twitter and soon after other social media platforms in 2007. The idea of hashtags is that whenever a user adds a hashtag to their post, it is immediately indexed by the social network and searchable by other users. Once someone clicks on that hashtag, they'll be brought to a page that aggregates all of the posts with the same hashtagged keyword in real-time. Once a keyword picks up enough momentum it becomes known as "trending." Most networks use hashtags in the same basic way; to organize data and make it easier for user consumption. However, each network has a different tweak on how they use them. From Twitter, Facebook, Instagram, Google+, Tumblr, Pinterest, Vine, Kickstarter and You Tube Hashtags play an instrumental role in examining what is trending or popular on social media and also makes it easier to access information and posts on a variety of specific topics. Here is an outline on the appropriate number of tweets to use and their function within that social platform. Twitter: Twitter, as stated is the birthplace of modern hashtag usage - as such, its hashtags are more versatile than other sites. It is recommended you use 1 - 2 hastags per post. Facebook: Facebook only recently added hashtag support in June 2013. It is recommended that you use 2 -3 hashtags per post. Instagram: Instagram Hashtags can be used to complement photos shared on Instagram and help you discover new accounts and pick up followers. Use 10 or more hashtags per post. Google+: When you click on a hashtag in Google+, the search results will include the original hashtag as well as posts with similar tags and keywords. The hashtags are automatically assigned to your posts. It is recommended that you use Use 2 -3 hashtags per post. Tumblr: Tumblr posts have a special "Tag" section where you can enter tags. These tags function like Twitter hashtags, organizing posts by topic, but the hash symbol is inserted automatically. Pinterest: Use Pinterest hashtags to mark and search for content. Click on the hashtag in a pin description to navigate results that contain the exact hashtag, plus pins with the same word or phrase in the description. Pinterest hashtags lead to search results for the keyword in your hashtags. Use 2 -3 hashtags per post. You Tube, Kickstarter and Vine also use hashtags to enhance their social media content access. Using a hashtag in a social post is as simple as adding the ‘#' sign before a single word or phrase without spaces or punctuation (numbers are okay). •	Remember to use the appropriate etiquette for each hashtag. • Spaces between words and punctuation is a no-no. •	If you want to differentiate between words, use capitals instead. Uppercase letters will not alter your search results. •	Use Hashtags to fit your brand, and enhance and promote your business and product/service advertising. •	Don't go overboard and don't use th @ symbol. •	Be specific with your hashtags, give context to your post and avoid vague and generic hashtags. •	Don't string too many words together with a single hashtag. •	Don't #spam #with #hashtags. Don't over-tag a single tweet. •	You can follow trends and generate buzz with promotion and brand engagement. •	Creating your own hashtag can be a powerful thing, your hashtag may start trending among your circle of followers. • The more targeted your audience - the better, a targeted audience generally means better engagement. •	Don't have more hashtags than words. Apart from Instagram (where users have caught onto the fact that more hashtags can mean more reach and likes), it is generally best to use no more than 2 - 3 hastags for optimal success. Remember, your hashtag's visibility will depend on your privacy settings. If your social media account is private, only those authorized to see your tweets will have access to your hashtags. If you are using hashtags to increase your brand's exposure, make sure your posts are set to public. Are Hashtags Here To Stay? Given that social media has entered almost every facet of our lives and that hashtags have integrated into most of the popular social media platforms, the answer is yes! If you want to research the most current Hashtag trends you can go to such sites as What The Trend (a tool that can help you find the top hashtags from the last 30 days). Twitonomy, RiteTag or Hashtagify.me. These tools can be useful for finding the most popular or trending hastags on social media platforms. Indeed, hashtags can play a vital role on social media when used properly. They create incentives for people to categorize their posts, which in turn makes it easier for users looking for posts on the same topic to find content. It's also an easy way to distribute popular news to groups of people who otherwise may not be actively searching for it. Overall, Hashtags are integral to the way we communicate online, and it's important to know how to use them. If you need assistance with your social media marketing contact the team at Central Coast Web Design and we will happily assist in creating #increasedengagement for your #business. Remember, #Hashtags serve to make your #content discoverable to a wider audience.